Nowadays YouTube channel is playing an increasingly important role in our daily life. A specific YouTube channel contains an organized list of videos managed by a YouTube celebrity or member. So it helps you easily find your favorite YouTube videos, be it humorous, horrible, or romantic. But chances are we frequently find our beloved videos are deleted from the YouTube channel or there are annoying ads or constant buffering when we watching these videos on YouTube channels. A solid choice is to download YouTube channel videos to solve the abovementioned problems. Since YouTube doesn't provide you such function, then how to download all videos from a YouTube channel on Mac? Well, you can turn to a YouTube channel downloader that is able to download all videos from YouTube channel. To cope with the YouTube channel downloading task, MacX YouTube Downloader is highly recommended. Since its first release, the YouTube channel downloader has been regarded as the best and easiest software to download all YouTube videos from a channel to Mac (El Capitan and Yosemite) without taking a long time. This downloader for YouTube channel can easily download YouTube channel videos to Mac OS, whether 720p, 1080p or 4K ultra HD videos. What's more, you can even download a music video like the baking-hot Frozen Let It Go at 30 seconds only. It's at your disposal to choose the resolutions or right formats like MP4, FLV, WebM, FLV, etc before downloading the YouTube channel videos. 100% free to download all videos from a YouTube channel including videos, movies, TV shows, music in 720p/1080p HD, 4k/8k UHD. Fast speed and high output quality. After free downloading, running and installing the YouTube channel downloader for Mac, enter the YouTube.com and find the channel in the main page if you've subscribed it or directly search the channel to find your preferred one, find the YouTube channel video you prefer to download. Then copy and paste the URL of the video page. Or click "paste & analyze" button to automatically detect the YouTube channel video opened in browse. You can even add all videos from the YouTube channel before downloading. Tips: the YouTube channel downloader automatically helps to add MP4 video to iTunes for you to sync to iPhone, iPad, iPod for playback later on. Click "Download Now" button and commence to free download all videos from a YouTube channel on Mac (Mavericks). After a few minutes, you can enjoy these videos downloaded from YouTube channel without ads or YouTube loading problem. Notes: sometimes, you may want to download the YouTube channel videos for backup or playing on devices like iPhone or iPad without any internet connection or any loading problem. 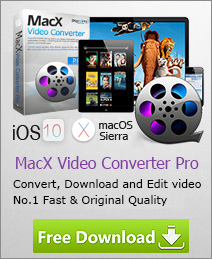 In this case, its advanced edition MacX Video Converter Pro can be your life saver. You are enabled to not only download all videos from YouTube channel, but also convert the downloaded YouTube channel videos to iPhone 6S/Plus, iPad Pro/mini 4, Samsung Galaxy S6 edge+/Note 5, HTC One M9, Amazon Fire Phone, Kindle Fire, PS4, Xbox One, Sony etc. Wanna a right YouTube playlist downloader for mac to download YouTube playlist so as to save time and energy? The totally free MacX YouTube downloader offers an easy solution to download all videos from a YouTube playlist with fast speed and excellent output quality.